During the D23 Expo 2017 in Anaheim, California, Kingdom Hearts 3 was slated for release sometime in 2018, during the new trailer that was shown at the event. 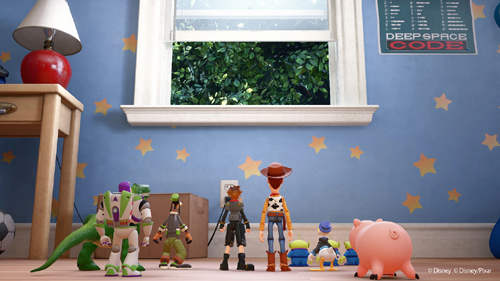 Toy Story also debuted as a new world announcement for the first time in a Kingdom Hearts 3 trailer. This new world marks its first Pixar involvement with the series.